It's hard to get a grip on life when it is constantly changing; constantly evolving. But then again, would it be considered life it things weren't always changing around on you? I've learned that you sometimes have to roll with the punches and take things for what they are. Don't take things too personal if they aren't directed towards you and know that not everything lasts forever. Whether it's good or bad, learn from it or enjoy it. Everything is a lesson to be learned and everything most definitely happens for a reason. The main thing here is that it isn't you job to figure out the reason but instead, let it present itself to you when the timing is right. You have to accept things or situations for what they are and know that you, too, are always growing and changing. If you look back at your life within the last year would you be able to say that you are the same person you once were? Well, I'd hope not. I've learned the life is all about becoming a better version of yourself. It's funny how day by day everything remains the same, but when you look back everything has changed. You will never be this same exact person ever again and that is actually a good thing. Why would you want to avoid learning and evolving into a different person? We all have obstacles and characteristics to overcome and what better way to grow than to accept the change and learn from it? With growth comes knowledge and with knowledge comes wisdom. You're only holding yourself back if you're trying to stay the same. 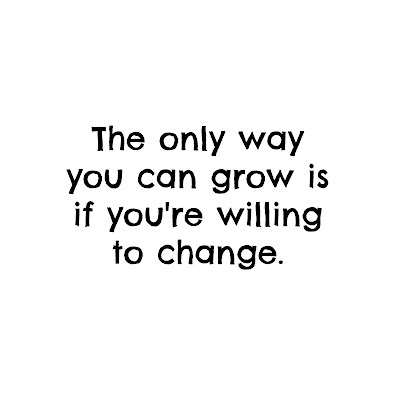 You want the change in your life but you refuse to let go of the same ol' thing; that doesn't sound very plausible. Whatever is meant to be will eventually be. 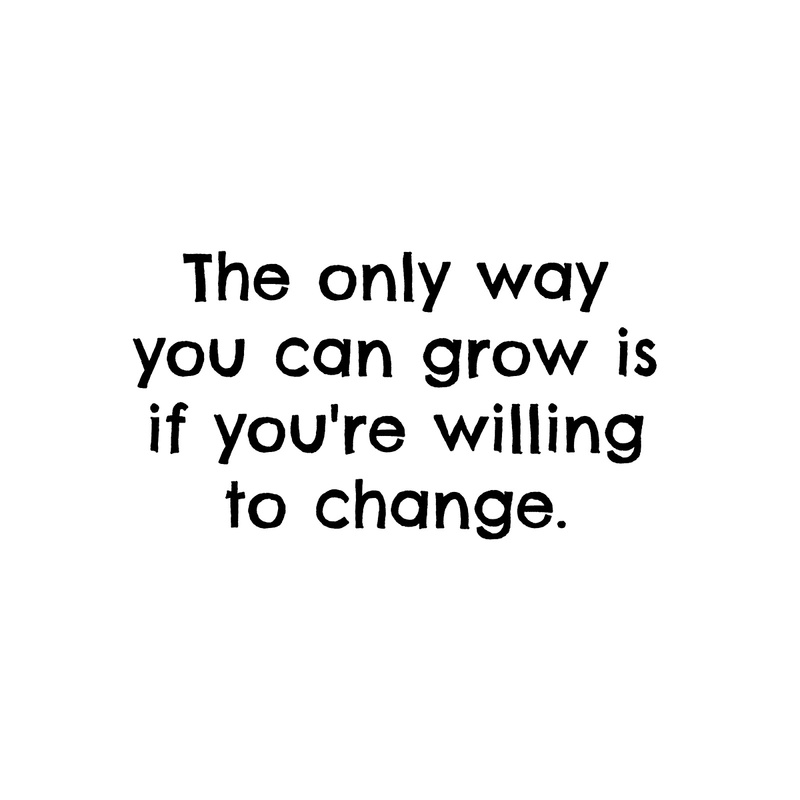 Change allows you to experience things that you haven't yet come by. It gives you lessons that you can learn from, to become smarter and wiser. Change is good. Growth is good. Be willing to do both.